Need more information about booking Home 7329665 ? Modern world luxury meets 19th century townhouse feel. 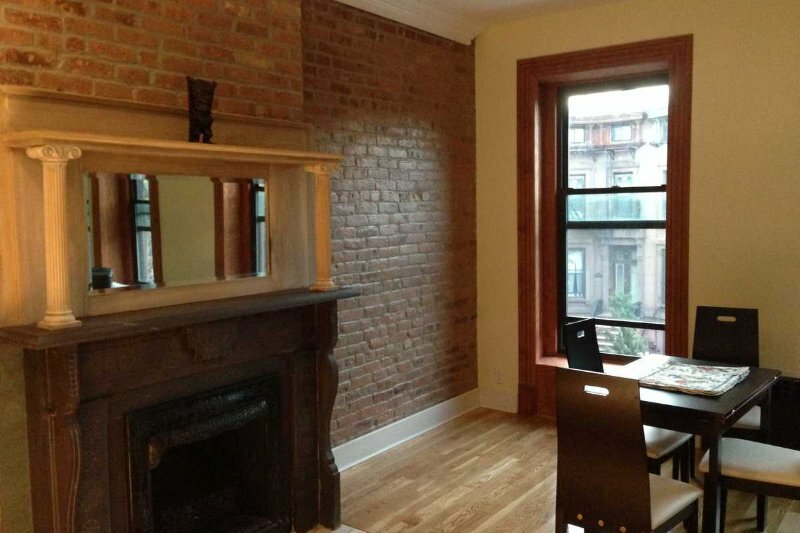 New condo style 2BR apartment in a 19th century brownstone. A promise of comfort and relaxation. This bright, sunny, spacious apartment is located on a beautiful tree lined block. The apartment features a new Kitchen, Stone Counter Top, new Bathroom, recess lighting, flat panel TV, decorative firplace and free WIFI. Also available is free Huluplus and Netflix for your viewing pleasure. Enjoy the experience of a neighborhood that was once a hidden gem in the NYC landscape. Come and be part of the Brooklyn Renaissance. The amazing friendly atmosphere, architecture, food & diverse culture will leave you speechless. Come grab a bite at some of our great eateries such as Peaches, Peaches Hot House, Scratch Bread & for those who prefer a vegetarian delight, come pleasure your taste buds at Saraghina. Guest must be 25 years or older unless accompanied by parent or family. No parties, loud music or rough play allowed. Absolutely NO SMOKING allowed on premises, unless in designated areas outside the home. Estimated price per night based on a weekly stay. Owner fees of £97.00 per stay may apply. Enter your dates to see the total cost.